I love that our church is doing something all it’s own this year. And really trying to embrace the idea of living outrageously like Jesus did. We just finished a series called “Jesus breaks the rules.” It is so true and I was so inspired. 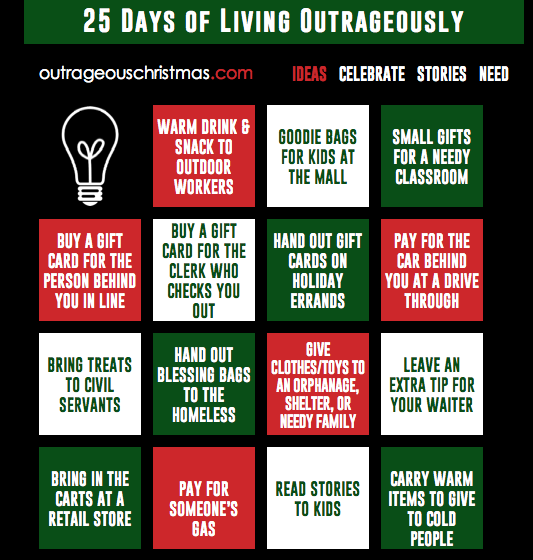 As a part of Outrageous Christmas our church is trying to raise enough money to build 4 wells in Burkina Faso. We are doing a program called “Walk for Water” in which you walk 2.5 miles with an empty jug, fill it with clean water, and then walk back the 2.5 miles with it full. I believe the average person walks 5 miles and has to carry 5 gallons. Amazing! 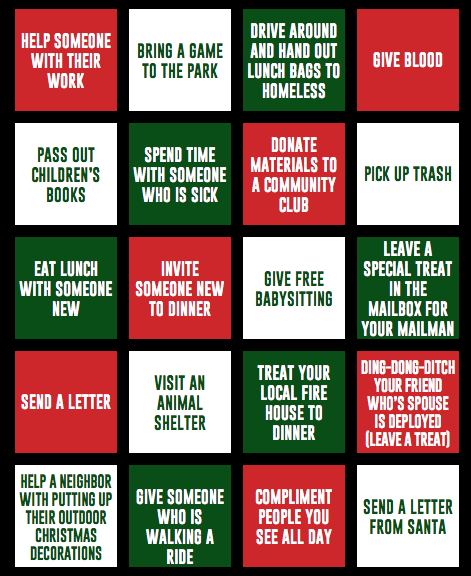 They also posted some great ideas for ways to bless those around you this holiday season and I wanted to share them here. 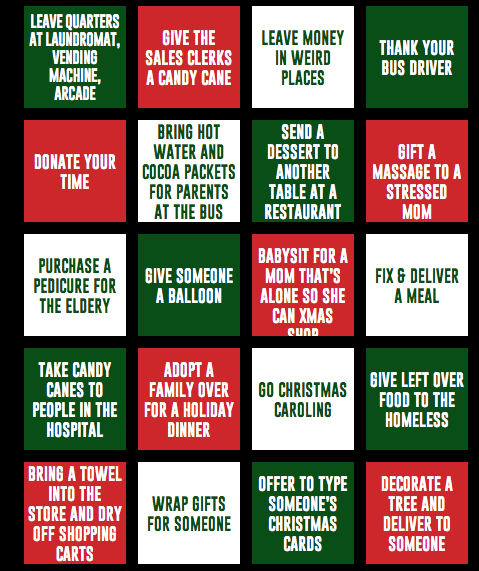 We may be trading a few of our advent things out this year and replacing them with a couple of these ideas. To view these ideas on the Outrageous Christmas website just click here. You can also share stories or post needs. What an important part of Christmas – blessing others!